The wizarding world of Harry Potter created by J.K. Rowling, and translated beautifully to the screen in a miracle of continuity and creativity over the course of the aughts, is a wondrous achievement. Fantastic Beasts and Where to Find Them is not. 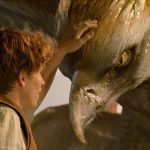 While a plot that involves a hate group speaking out against “the other,” bureaucratic shakeup, fearmongering, and misinformation may seem especially relevant in November 2016 – there’s even a guy named Newt – Fantastic Beasts can’t find a through-line. Impressive visuals aren’t enough to distract from the messy storytelling. Based on a small offshoot book by Rowling that describes extraordinary creatures existing in the Potterverse, the film – with a screenplay from the author herself, meanders from moment to magical moment and suffers from pacing issues and the lack of a driving purpose. Harry, Ron, and Hermione had a goal and an adversary to overcome with each new page-turner, learning valuable lessons that mark their growth as wizards, and people, over the course of their young adulthood. 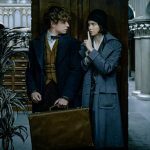 The lesson of Fantastic Beasts is that it’s hard to conjure that kind of depth and wonder with thin characters, even thinner arcs, and a flat narrative that invents mock conflict as it goes along. Set seventy years before Potter’s adventures, what there is of a story brings Hogwarts alum and “magizoologist” Newt Scamander to mid-1920s New York to do some magizoologist business. His enchanted briefcase contains entire ecosystems of animals and habitats. After the not-so-magical plot device of an identical briefcase mix-up with good guy Jacob Kowalski (Dan Fogler), many of Newt’s specimens are set loose and he’s got to round them up. The invention of Kowalski as comic relief “no-maj” – the American equivalent of muggle – is forced and provides little actual wit. As sidekicks go, he’s no Weasley. In a very busy first day in the big city, Scamander also crosses paths with Porpentina Goldstein (Katherine Waterston), a witch and employee of the Magical Congress of America. MACUSA, for short, is scrambling to keep the wizard world hidden from the non-magic folk, a task made more difficult by an invisible menace that’s staging attacks in the city, a rogue evil magician they’re trying to track down, and a wizard truther (Samantha Morton) peaching that witches and warlocks are real and must be stopped. 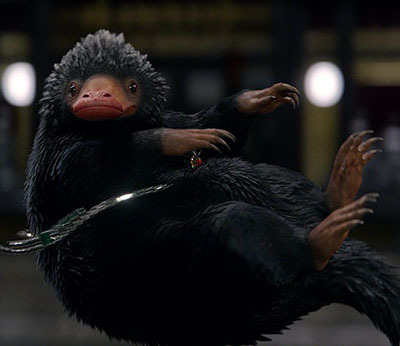 Through all the grinding between story threads, Fantastic Beasts looks great. 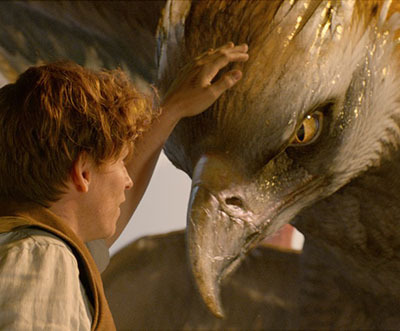 David Yates, who directed the final four Potter films, imports the signature baroque look of the series and uses the New York cityscape well in staging fanciful encounters. The re-construction of demolished architecture is a new trick, and an impressive one. Most of the beasts are interesting to look at as well, though purpose is elusive and most of them are just there, have their moment, and disappear. 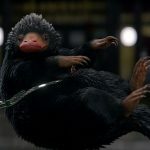 A spiky-haired, platypus-like cutie, who’s also a kleptomaniac, gets the biggest laughs of the movie. The humans, on the other hand, aren’t given a lot of fantastic things to do. Redmayne overplays Newt’s shyness with repetitive tics and avoidance of eye contact, though some mannerisms, like a jerky gait when he walks, work. Waterston is charming, but can’t escape the obviously outlined, potential love interest trappings. Neither can Alison Sudol has her sister Queenie, who’s there only to pair off with Fogler. Manufactured convenience extends to all aspects of the script, which feels like it’s been exceedingly padded out with bits and bobs that never fully come together. A side plot involving government figure Percival Graves (Colin Farrell) and a battered orphan (Ezra Miller), raised horribly by Moton’s wizard-hater, has potential, but eventually just melts together with the other pieces of endless exposition. The movie starts slow, gets unnecessarily jumbled, and then ends with some standard dramatic tropes and requisite reveals that provide little genuine payoff. The dark stretches involving hate and abuse are also at odds with Scamander’s galivanting, while never providing a congruent counterbalance. It’s hard to see how these building blocks have set the groundwork for the promised four additional films in this series, but maybe now that we’re past the clunky introduction Rowling is free to add more color and adventure to the universe. There’s a least one third act revelation that promises a more focused conflict to come. We can only hope it begins to approach the goings-on within the hallowed halls of Hogwarts.